Here at Powys dance we are actively seeking new board members to join us as we look ahead to another year of dynamic and exciting community dance work in Powys, and beyond! Before becoming a charity and before ever needing a board I think it's safe to say we held a rather outdated view in our minds of what a board of trustees was and looked like and I can imagine many of you reading this may think the same and that perhaps you're not trustee material yourselves? The glorious Jessie Barstow joined our board right at the very beginning and she is as you might say a 'first timer' (first time being on a board!). It is easy to imagine a board of trustees as our friends in Hollywood would have us see it; serious faces, dressed in serious suits, with decades of heaped experience and an absolute nose for business and profit. I had this in mind when Amanda first approached me to be a board member, I wasn’t ready to take this lofty move into strategic leadership, was I?! For the first couple of meetings I sat fairly quiet and took it all in. I expressed an opinion from time to time but let others lead. Gradually I found my voice and my place within the group which, to my surprise, wasn’t solely within the remit of my day to day marketing job. We were working as a team and discussion is at the very heart of any successful collective working towards a common goal. Be that the structure of the organisation, the finances, the opportunities, the staff or a myriad of other topics in between. What I discovered was that being a board member of Powys Dance is not weighted by age and business experience. It is OK and in fact, indeed important, to say you don’t understand something or you want something clarified. There is no need to be a part of every move, but to act as a measured voice adding to the discussions and decisions when you can and want to. Eighteen months on, I have had the pleasure of not only watching Powys Dance blossom into a charity that has its staff, freelancers, participants and the wider community at the core of every decision that is made but I can claim to have been a part of the journey. To those who are thinking of applying then I wouldn’t hesitate in recommending the position - where you feel you lack you will find you will grow and if you want to make a difference, you will find you actually can. 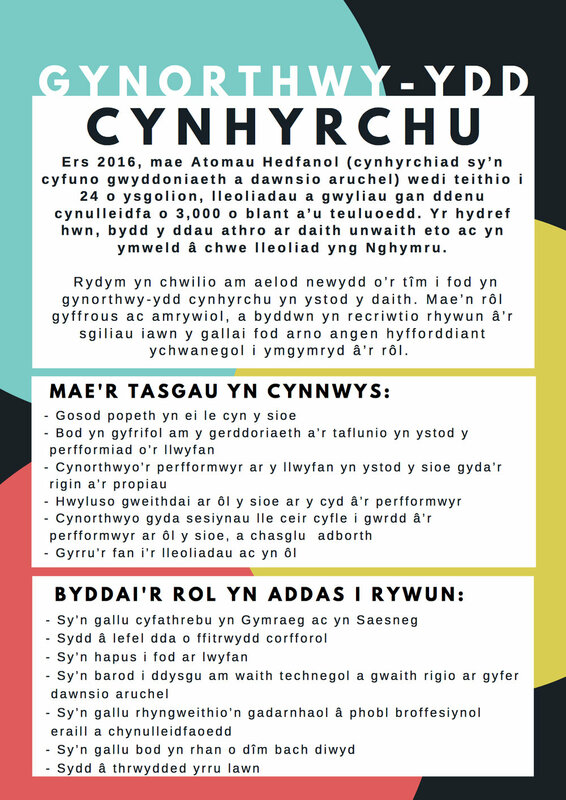 You will be surrounded by other passionate professionals, working towards connecting the people of Powys and beyond with this hugely beneficial, community-driven and fun art form. We need more voices, in particular, those with a background or understanding of finance, legal, HR, strategic planning, IT or business operations. If you have worked in an art or dance environment that is fantastic but not prerequisite - we want varied voices. So you won't just be becoming another lovely face on our board, (because they are rather lovely) but an integral voice in the shaping of Powys Dance, and an important member of the team.